IMF Chief Economist Maurice Obstfeld praises GST reform, says India's growth "very solid"
India's growth has been "very solid" over the past four years, IMF's Chief Economist Maurice Obstfeld on Sunday said, praising the fundamental economic reforms like the GST and the Insolvency and Bankruptcy Code carried out by the government. Summing up his impression of India's economy in the last four-and-a-half years of the Modi government, the top IMF economist said the country's "growth performance has been very solid". Hundreds of Airports Authority of India employees will go on a three-day relay hunger strike from Monday to protest against the government's move to privatise six airports, a union representative said. The Airports Authority Employees Union (AAEU) has also warned that staff would go on mass casual leave from December 28. The government last month cleared a proposal to manage six airports of Airports Authority of India (AAI) under the public-private partnership. Former chief economic adviser Arvind Subramanian on Sunday warned the Indian economy was in for a slowdown for some time as agriculture and financial system were under stress. Speaking at the release of his book, Of Counsel: The Challenges of the Modi-Jaitley Economy, he said both demonetisation and implementation of GST have resulted in moderation of the economy and the budget estimate of revenue collection from the Goods and Services Tax (GST) seems to be unreasonable. The outcome of the controversial demonetisation would have been "significantly better" if "simple things" like not cancelling the higher denomination of Rs 2,000 notes, banker Uday Kotak has said. 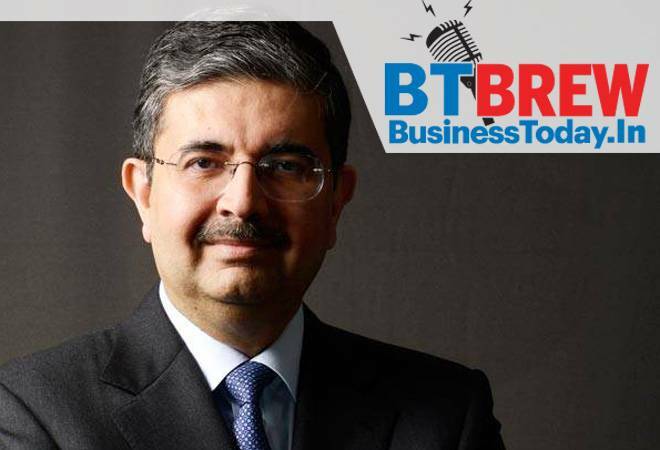 The executive vice chairman and managing director of the fourth largest private sector lender Kotak Mahindra Bank has also said small businesses are in a difficult situation at present and has welcomed the government focus to revive the sector. On demonetisation, he said the outcomes would have been different if it was planned well. The capacity-constrained Chhatrapati Shivaji Maharaj International Airport (CSMIA) Saturday handled a record 1,004 aircraft movements in a day, bettering its earlier record of 1,003 flight movements in 24 hours in June this year. Sources said the feat was achieved in the wake of the pre-wedding bash of Isha Ambani, daughter of industrialist and India's richest person Mukesh Ambani, in Udaipur in Rajasthan. Facebook is working on a video feature that will allow the merchants to demonstrate and talk about their items to the audience, LIVE! Buyers will be able to take a screenshot of the product they want to purchase and send it to the seller through Facebook's messenger app. The seller can then request payment via the messenger app itself. The merchants can inform the potential buyer via their Facebook Page before the broadcast. Embattled liquor tycoon Vijay Mallya, wanted in India on alleged fraud and money laundering charges amounting to an estimated Rs 9,000 crores, is scheduled to return to the Westminster Magistrates' Court today when his extradition trial is listed for a judgment hand-down. The 62-year-old former Kingfisher Airlines boss has been on bail since his arrest on an extradition warrant in April last year. He has contested his extradition on the grounds that the case against him is "politically motivated" and the loans he has been accused of defrauding on were sought to keep his now-defunct airline afloat. A farmer from Maharashtra's Ahmednagar district has sent a money order of Rs 6 to Chief Minister Devendra Fadnavis to mark his protest against crashing prices of onions and paltry returns. The farmer Shreyas Abhale told PTI Sunday that after selling 2657 kg onions at the rate of Rs 1 per kg at the Sangamner wholesale market in the district and adjusting market expenses, he was left with only Rs 6. Bumper production of onions has affected the onion growers in Nashik and Ahmednagar districts adversely.